Most of you know I am a fanatical foodie whose whole day is structured around eating adventures. While I do enjoy a good cafe hop (particularly at breakfast time – no surprises there), I also love getting in the kitchen to cook up a storm from time to time. I’m an all-day grazer (our typically jam-packed schedule requires a lot of fuel), so snack preparation is a big deal in our household. One of my favourite snacks EVER is a simple apple with some nuts or nut butter, but this week I was feeling a bit more adventurous so decided to whip this combination into something more “jazzy”, so to speak. I have always been an apple-a-day kind of gal, so I’m no stranger to the many varieties and their differences in colour, texture, and flavour. 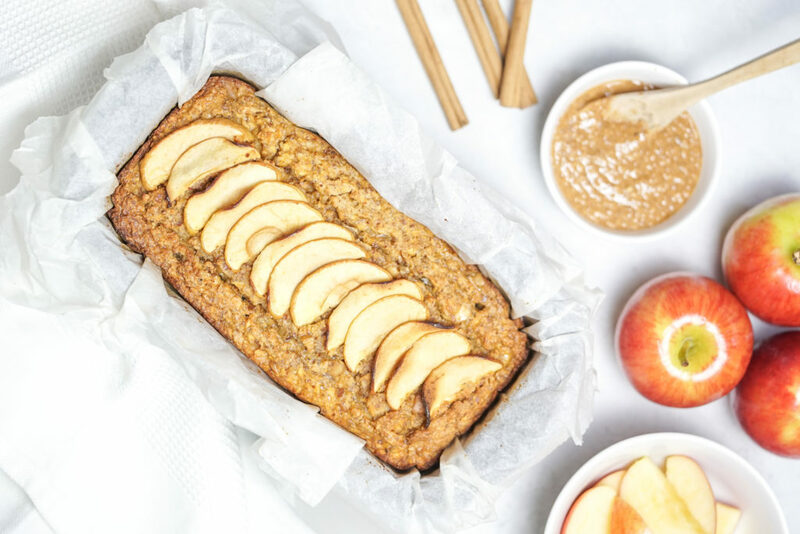 I prefer a crisp, crunchy, slightly sweet apple to the more powdery, chalky, neutral flavoured types so Jazz Apples are one of my favourites and I was DELIGHTED to receive a huge box of them recently (inspiring this latest recipe). I’m a big fan of recipes that look more complicated and fancy than they actually are, especially when they result in leftovers or portions you can spread across the week – more bang for buck! 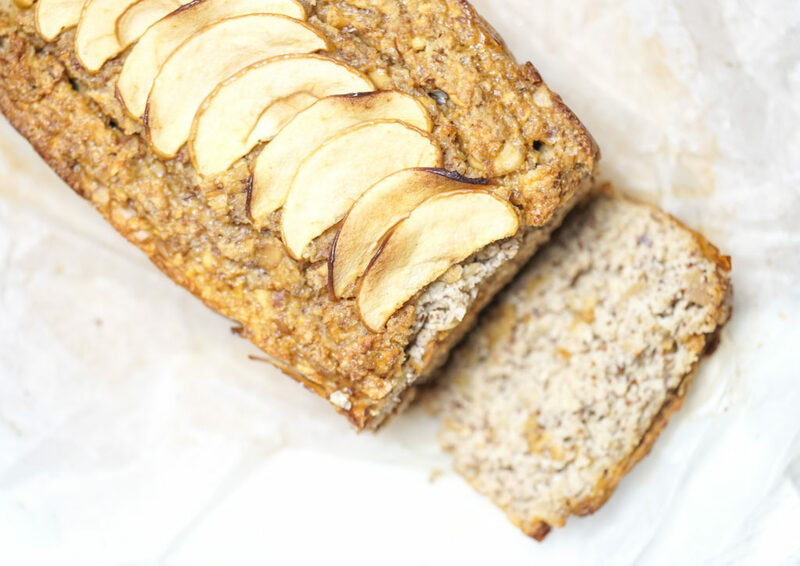 So I made sure this one was super easy and would result in a beautiful gluten-free healthy loaf to use as my go-to snack (that is, if I could make it last for more than a day – so yummy!) I also included a non gluten-free NO-NUT option for those who can’t enjoy nut meals, because I’m a pretty decent bloke when I want to be. Enjoy! *This can be replaced with 2 cups plain flour to make it nut allergy friendly. 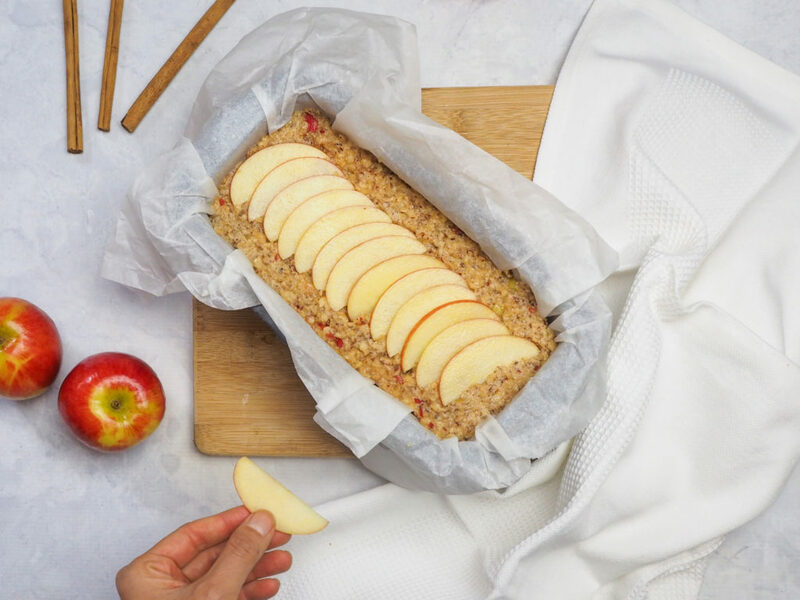 Line a loaf tin or baking tray of your choice with baking paper. Grate or process the apples until they are finely chopped. 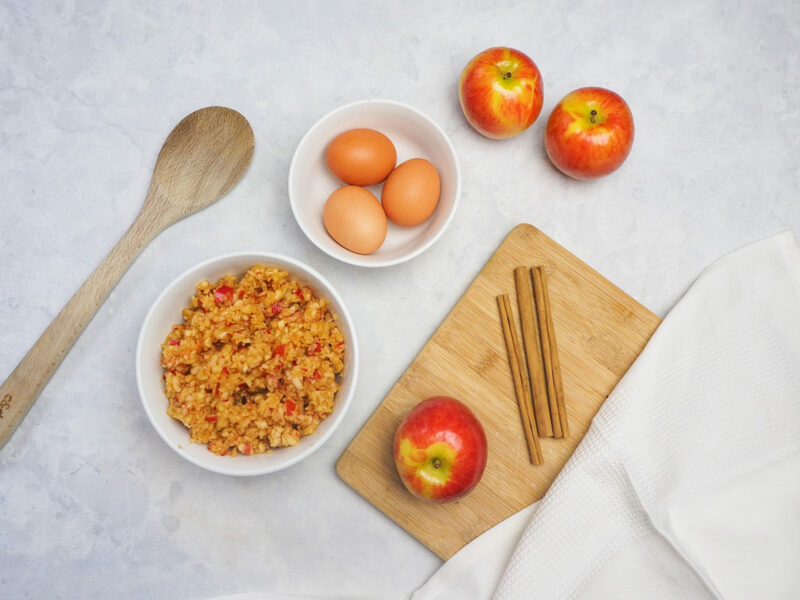 Mix grated apples, eggs, oil, baking powder, vanilla, cinnamon and sea salt together in a large bowl. Add the almond meal (or plain flour) and mix through gently until just combined. Decorate the top as desired – I used apple slices but you can also use flaked almonds or nuts, sprinkles of cinnamon or whatever you feel like “jazzing it up” with. Bake until skewer comes out clean – around 1 to 1.5 hours. Remove from oven and let it cool and set for about 1 hours. Slice and serve. Note: goes really well with almond butter or ricotta with fruit. Recipe sponsored by the wonderful Jazz Apples team.